Elle J Custom Gift Basket Designs is one of the leading providers of gift baskets in Hollywood. 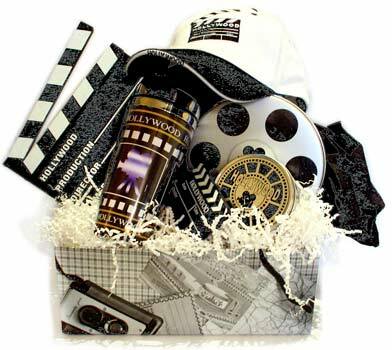 Our client list includes the biggest stars in the entertainment industry - delivering gift baskets nationwide. Custom designed gift baskets are our specialty. Browse our online gift basket catalog and please feel free to contact us if you would like to have us create a custom gift basket. If you would like to know more about us or the clients we service please check out our Elle J on the Hollywood Scene page. We know how to please people with very particular taste. So, the next time you need a gift for any occasion, allow us to give you the star treatment. Child Special Occasion - Newborn - Sports Celebration - Retirement - or just Pamper Yourself! Any Themed Gift Basket you can think of - we can create.